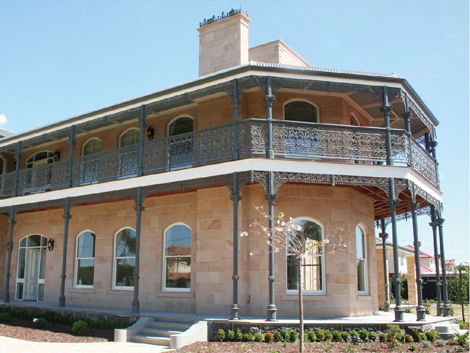 In Essendon, one of the great prestige suburbs of Melbourne known for being adorned by marvellous grand mansions and estates, STONE 4 PROJECTS has restored a beautiful Victorian style mansion to its former glory. STONE 4 PROJECTS is a special division within Grace Stone and Sai Sandstone, one of the leading stone suppliers in the industry, specifically servicing commercial construction projects. STONE 4 PROJECTS was able to supply a large quantity of natural sandstone products in order to naturalise the work done with the existing stonework. 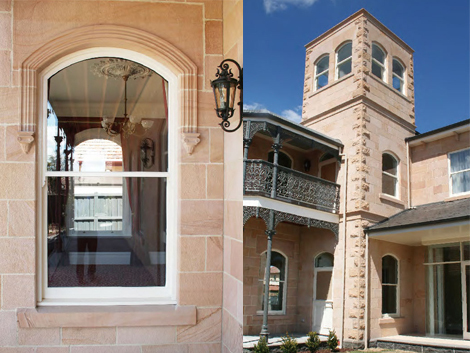 The project used 120mm thick solid natural sandstone blocks to restore the mansion to its prime. 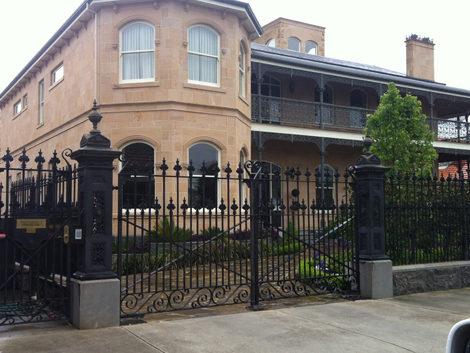 One of the particularly commendable achievements was the large quantity of stone that was able to be supplied with high quality colour and texture consistency, finished with a bush hammer finish. 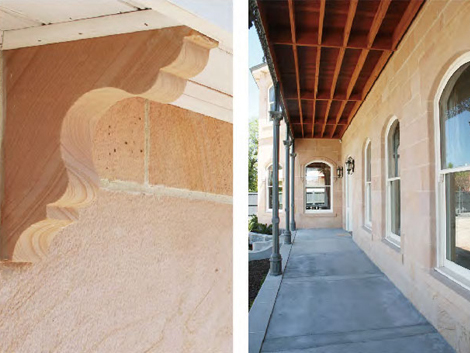 In addition to providing the stone for the surfacing of the mansion, STONE 4 PROJECTS also provided the precision carved rosettes for the window frames and hundreds of meters of parapets and corbels for a detailed finish. Other stone finishes used included honed, rock face and carvings. The sandstone types used for the project were Grampian Sand and Coffee.